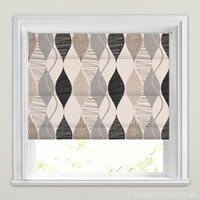 If you have touches of black amongst your rooms décor and want to continue the theme through to the windows, these luxurious black patterned roman blinds are a fabulous way to do this. Custom made for a perfect fit, they are both beautiful and practical and guaranteed to add the wow factor to the windows of any room of the home. Good quality and quick service. No problems at all. Arrived in good time and well packaged. I was kept informed of the progress of my order throughout. The blind itself is a beautiful colour. I didn't think I'd manage to get one for such a small window but this is lovely. 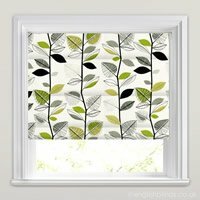 I have other challenging sized windows and will definitely be ordering from English Blinds again. Super service. It was a couple of weeks before the renovation of the kitchen permitted hanging the blinds, but they are truly stunning, and well worth the money. 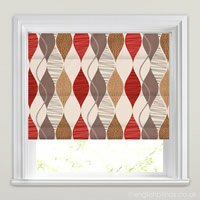 I will definitely order from English Blinds again and have no hesitation in recommending them! Fantastic, gorgeous blinds, good delivery time and easy fitting will definitely use again. Excellent product and service. Very user-friendly website with clear instructions on how to take the necessary measurements. 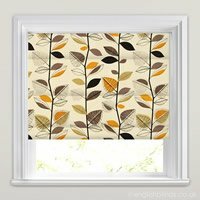 Very satisfied with the service, ordering was easy and my blind arrived promptly and as ordered.